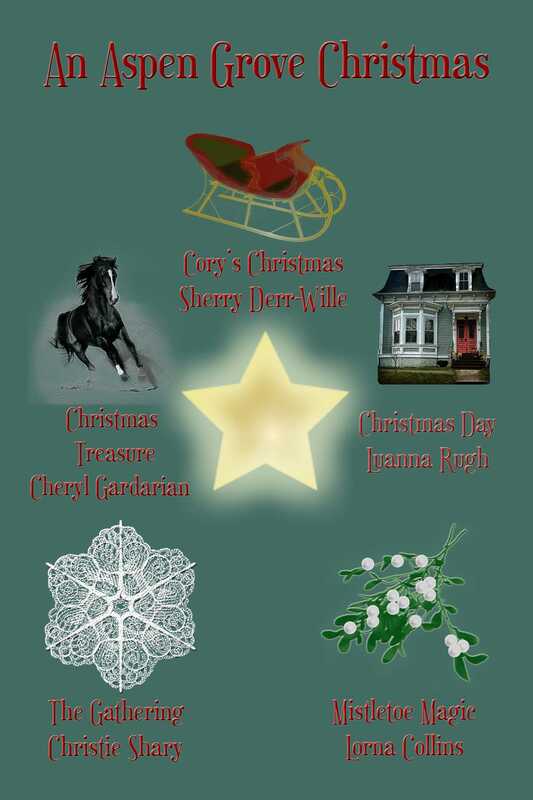 Cory's Christmas - Sherry Derr-Wille Cory never expected to run Baker's Secret Hideaway, but when she needs help, Dex Trenton enters her life in more ways than one. Christmas Day - Luanna Rugh Chris Day isn't looking forward to Christmas. But injured skier Raven Chase lands in Red Rock Clinic on Christmas Eve, and her holiday plans change. Mistletoe Magic - Lorna Collins All Noelle McGregor wants is real mistletoe for her first Christmas without family, but getting it leads to literally falling for Matt Spicer. The Gathering - Christie Shary Sonata Sullivan returns home where she encounters her widowed high school boyfriend, Tommy Henderson. But her heart belongs to Jamali in Morocco. Christmas Treasure - Cheryl Gardarian Posing as tourists, Sara Hayden and Gretchen Dodge meet Swedish businessman Thad Johansson. When he returns unexpectedly, will their deception be discovered?